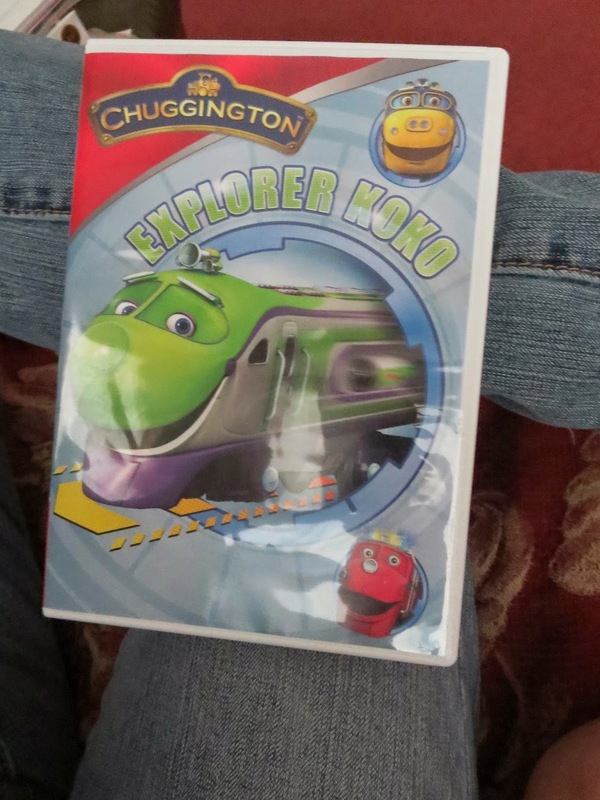 My kid's love Chuggington so they were super excited to get the newest edition Chuggington Explorer KoKo as soon as we put it in they started singing along with the dvd. And I love the fact that coco is a girl. There are 6 action packed video's that these kid's love and I love to watch these with them. This video is 64 min long. “Explorer Koko,” the latest action-packed “Chuggington™” DVD from Anchor Bay Entertainment. Featuring six engaging episodes that help preschoolers tackle everyday challenges and learn important life lessons, the exciting all-new collection puts wheels to the rails at retail on May 6, 2014. In “Explorer Koko” ($14.98), everyone’s best friend Koko is chosen to carry the King of Buffertonia and his dignitaries on a special tour of Chuggington. The new release also follows Koko as she gets hooked on a computer game trying to beat Hodge’s high score and finds herself in a heap of trouble when her net shooter fails on the tracks! In these six fast-paced and fun-filled episodes, Brewster, Wilson and Koko discover the importance of teamwork, leadership and more. The new DVD also comes complete with Chugger Spotlights, a bonus Badge Quest Episode and adorable coloring sheets! “Chuggington” has become a global sensation since its debut in September 2008 in the U.K. The show has been licensed to more than 175 territories worldwide and has established ratings records in several key international markets, including the U.K., Germany, France and Australia. The series made its stateside debut in January 2010. “Chuggington” is a contemporary, action-based, energetic and vibrant CGI series for children ages 2-5. The series follows the adventures of three young trainees – Wilson and his friends Brewster and Koko – as they ride the rails and take on exciting challenges that test their courage, speed and determination. Along the way, and with help and support from a strong community of engines and people, they learn positive values and new skills that empower them to become the best trainees they can be. 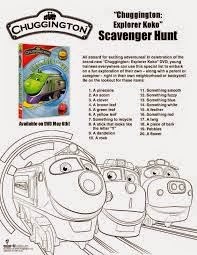 Further information is available at www.chuggington.com. Anchor Bay Entertainment is a leading home entertainment company. Anchor Bay acquires and distributes feature films, original television programming, including STARZ Original series, children's entertainment, anime (Manga Entertainment), fitness (Anchor Bay Fitness), sports, and other filmed entertainment on DVD and Blu-ray™ formats. The company has long term distribution agreements in place for select programming with AMC Networks, RADiUS, and The Weinstein Company. Headquartered in Beverly Hills, CA, Anchor Bay Entertainment has offices in Troy, MI, as well as Canada, the United Kingdom and Australia. Anchor Bay Entertainment (www.anchorbayentertainment.com) is a Starz (NASDAQ: STRZA, STRZB) business, www.starz.com. Would you like to win your very own dvd of Chuggington and Koko??? Enter the Rafflecopter Below for your chance to win!!! My favorite movie has aways been Sweet Home Alabama. Right now my favorite movie is The Notebook! I have been watching the Dr.Quinn series in my free time. My favorite movie is Where the red fern grows! Crossing Delancey was always a favorite, its from the 80s though. We have been watching Super Buddies over and over and over! Mother's Day Giveaway "Kitchen Aid"